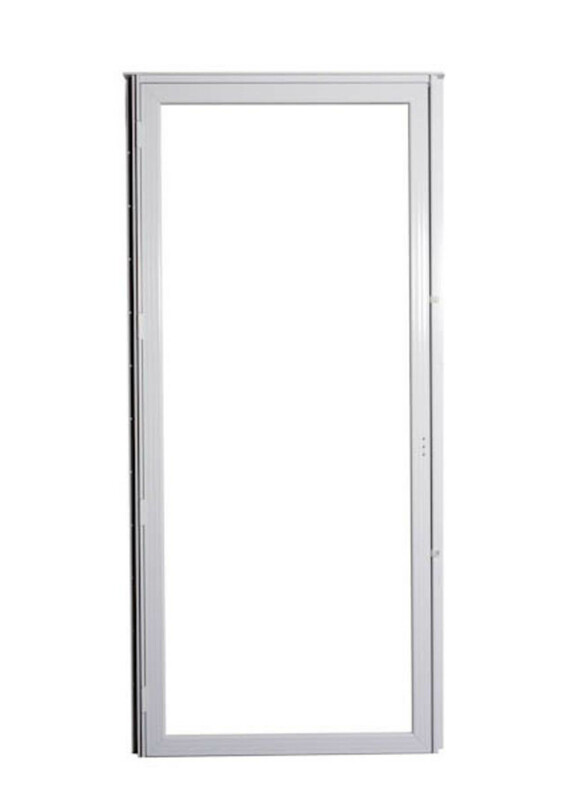 Storm doors feature heavy gauge, hollow, all aluminum construction. Doors are pre-hung and pre-squared and includes frame. Storm doors are sized by the frame casing that fits into storm door casing. Does not include storm door latch, closure and chain.